These days, free WiFi is the most valued hospitality amenity. However, even if WiFi is present, its implementation fails in many cases. An unreliable Internet connection, a weak signal, or slow speeds are just some of the problems that guests have experienced. These problems affected on overall guest satisfaction. Antamedia Free HotSpot WiFi solutions helps you improve your WiFi and guest satisfaction. HotSpot Software: Easily control Guest WiFi network. 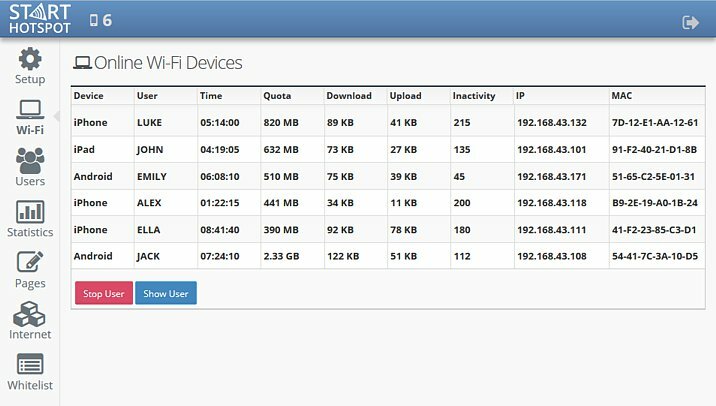 Start HotSpot Cloud WiFi: Cloud hosted WiFi management. Android Hotspot App: Turn your phone into mobile Hotspot. 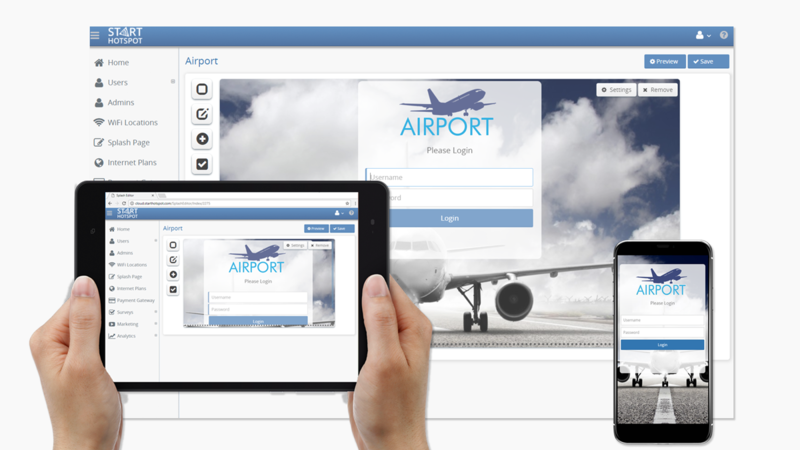 Free Hotspot Software helps you control and bill Internet access by redirecting your customers to sign-in or pay on your login page. You can combine it with data collecting to use it for your marketing campaigns or you can add paid plans for those that need fast Internet access. Entire process is automated, and follows the rules you specify: duration of the free trial, number of logins per day, available bandwidth quota, download and upload rate, time of day when free access is available, and much more. In addition, you can setup automatic customer surveys to get insight into customer satisfaction. Free HotSpot license is available for non-profit use for 10 devices. Start Hotspot Cloud WiFi system helps you build any kind of WiFi: Free, social, monetizing, engaging, video ads, auto emails. You can configure other limits like bandwidth quota allowed, so you can ensure that WiFi stays up and running and all customers are happy. 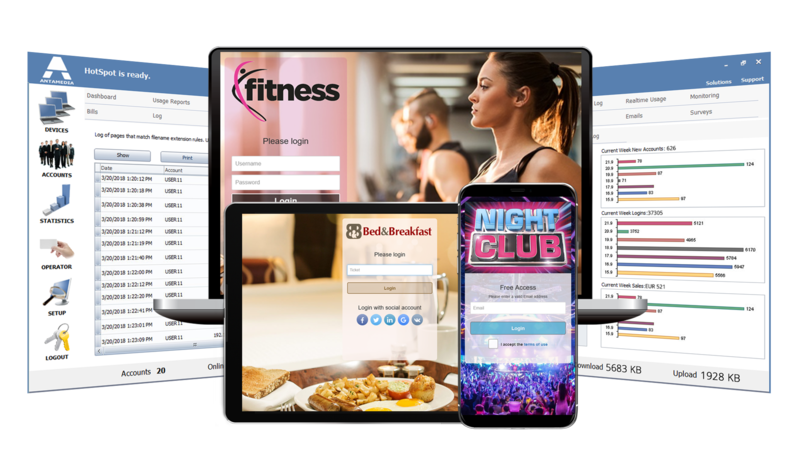 Start Hotspot Cloud WiFi solution controls user Internet access, sets limits, processes payments, engages users, provides powerful analytics and helps you run different marketing strategies to maximize revenue from your WiFi. Get started for free today, sign-up for a 14 day free trial. Redirect users to login, limit Internet speed and time. Allow everyone to connect to your SSID without password, and then automatically redirect them to your splash page: to login or signup. It allows parents to control their kids Internet usage. Android HotSpot App is FREE for 3 simultaneous (online) users as we want to help people safely share their 3G/4G Internet to WiFi users.